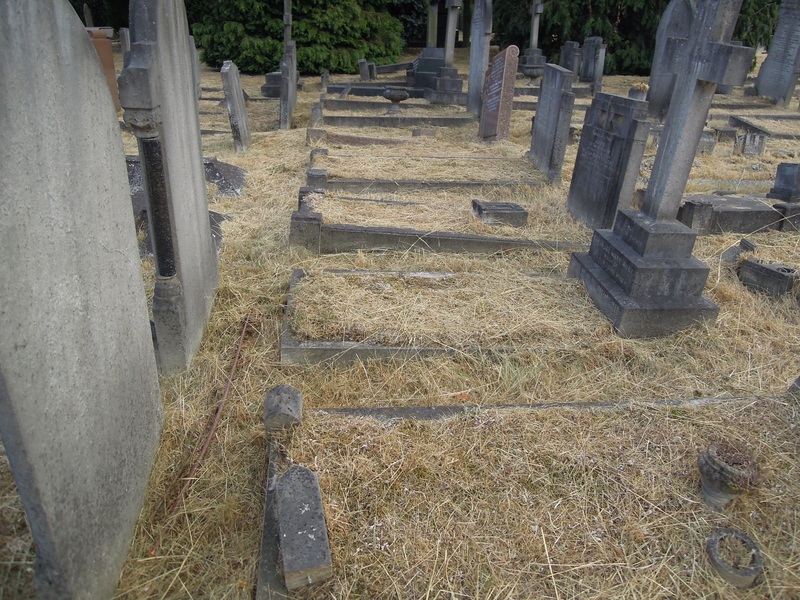 Last month, a south London newspaper ran a story claiming the long grass surrounding the graves in Charlton Cemetery was “disrespectful”. 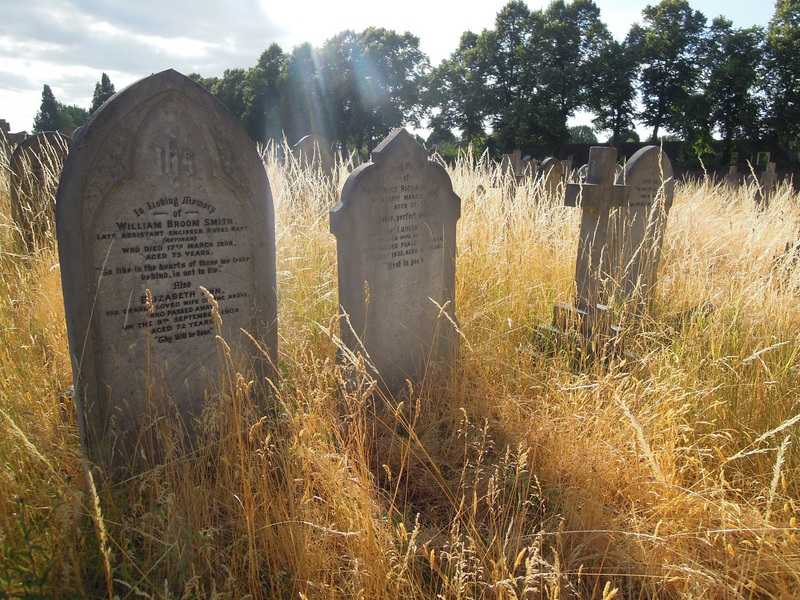 Ecologist and Charlton Champion reader JOE BEALE explains why the grass in the cemetery should be kept long, and explains what you can do to encourage Greenwich Council to maintain this space for the benefit of wildlife and biodiversity. In early July, I visited Charlton Cemetery. I was immediately impressed – whilst the majority of the site was the usual short-cropped lawn, there was a beautiful section where long grass had been deliberately left and wildflowers studded the sward with colour. Small signs explained that this had been done for enhancing biodiversity. Knapweed, Lady’s Bedstraw, Bird’s-foot trefoil, Ragwort and Creeping Cinquefoil were amongst the most prominent wildflowers, with a soundtrack of chirping grasshoppers. The next thing to catch my eye was the superb number of butterflies: over two brief visits I found ten species, including 120+ Gatekeepers, the classic southern hedgerow and grassland butterfly, on the second visit. Amongst these were plenty of Meadow Browns and, every now and again, jewel-like Small Coppers and Common Blues. Another one of the “blue” family, the diminutive Brown Argus was a nice find – their upperwings are chocolate-brown with bright orange markings. It wasn’t just the butterflies of course, though these were the most distracting: a good variety of bees were busying, dark green and scarlet Six-spot Burnet moths buzzed between the flowerheads, Swifts trawled the air above and a Kestrel hunted in the long grass. Happy with my visit and believing in giving credit where it’s due, I tweeted some images and a thumbs up to the Royal Borough of Greenwich for this enlightened approach. My “This is what we want!” tweet was liked by over 280 people and retweeted 80 times including by broadcaster Chris Packham, so by my humble terms I was quite chuffed. In the meantime, I was told some worrying information that, due to a complaint that had reached local media, much of this conservation area was now being strimmed. I spoke to a representative of the Parks and Open Spaces team who confirmed this. Apparently someone had thought it was being neglected and had interpreted the long grass as somehow being disrespectful to the graves. The council had reacted by giving up on much of the conservation area. My view would have been entirely the opposite –if managed well, nature’s gentle colours and movement in would surely be a fitting way to mark a quiet place of rest and reflection, which at any rate was just one small part of the large cemetery. The news wasn’t all bad, though – the original core area had been retained, thankfully, but a lot of the recent areas that had been extended to become conservation areas were now strimmed back to lawn. While conservation areas such as this do need maintaining, strimming is much better in late summer/early autumn once the flowers have set seed and many of the insects have finished. Apart from the fact that butterflies, bees and wildflowers are pleasant to see, this story raises other concerns. Firstly, UK biodiversity is in serious trouble and unless we change things we’re going to keep losing more and more of our beleaguered wildlife. The charity Buglife is pressing councils to keep road verges and other green spaces for wildflowers and bees which will help our pollinating insects and others as well as saving maintenance costs. According to Butterfly Conservation the commonest butterfly on site, the Gatekeeper, is in decline – as is the Small Copper. In fact, Charlton cemetery had more Gatekeepers than any other I’ve visited in Greenwich borough this year. Kestrels too have declined nationally. These little sites are vital oases for wildlife in an increasingly concreted and chemical-saturated environment and, for people, seeing wildlife has been shown to be beneficial to mental health by reducing stress, fatigue, depression and anxiety according to the Wildlife Trusts and many others. But as we “tidy up” more and more, it’s death by a thousand cuts for some of our most beautiful and beneficial species as we seek a uniform blandness. This can’t continue – the countryside is experiencing massive losses of insects and birds due to intensive agriculture and habitat loss, while urban areas often contain surprisingly important refuges. As we build on open spaces and concrete over gardens we must at least strive to do something proactive for biodiversity with our public green spaces. It is a cemetery, and of course, there are sensitivities involved. What worried me was that Greenwich Council had responded to a vocal complainer but had not heard the many people who thought the biodiversity approach was wonderful. Having asked the Parks and Open Spaces team about how they were thinking to resolve this, they told me they were already looking at less contentious parts of the cemetery to replace the conservation areas lost. This is good news, but it is hoped that the council will be able to stand up to the inevitable few who want a neat and tidy approach across the whole site. We are only human, we all get set in certain ways of thinking about what’s right and wrong at times and changes can be difficult, but it can and should still be done if done sensitively and for good reasons. The vast majority of the cemetery will remain neat lawn anyway. More generally, the council is now starting to acknowledge the national drive for helping biodiversity and the benefits this brings people and wildlife – and even the council’s purse. This is where the public can help, by encouraging their efforts and showing that it is popular – through tagging @Royal_Greenwich in tweets and writing emails to express support for work they’ve done. All too often councils only get complaints, but these may not be representative of wider public opinion. If you can, visit the remaining conservation area at the cemetery during butterfly season and spend a few minutes taking in the sights and sounds. If you have a nice walk there, or in any Greenwich Council-maintained green space that’s been part-managed for biodiversity, let them know and let others know the joy it brought you! Let others know that an exquisite azure butterfly amongst the straw-coloured grass made you forget your stressful day for a few moments, or that a hovering Kestrel brought back happy memories of a childhood holiday. Let’s hope the new conservation areas in the less sensitive areas of the cemetery will be a good compromise for all and, with clear illustrated signs, visitors will realise this is not some kind of neglect but a much-needed, active policy to help our struggling wildlife. All photos provided were taken on site. Joe’s blog covers wildlife in Greenwich borough and beyond; you can find him on Twitter, too: @Joe_beale. To contact local councillors about Charlton Cemetery, visit writetothem.com or contact the cemeteries team directly.